Against this background, SOS Children's Villages decided to become active in Togo in the 1970s. Since then, the organisation has been supporting Togolese young people and children via a number of different programmes in order to give them a brighter future. 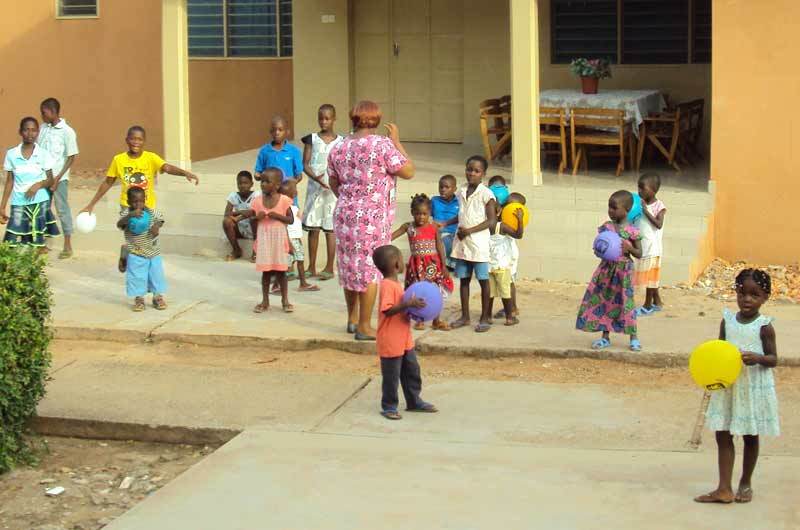 At present there are three SOS Children's Villages in Togo, two SOS Youth Facilities, three SOS Kindergartens, three SOS Hermann Gmeiner Schools, one SOS Vocational Training Centre, four SOS Social Centres and three SOS Medical Centres. The story of SOS Children's Villages in Togo began in the 1970s. The organisation received two plots of land from the government - one in the capital city of Lomé and the other one in the provincial town of Kara, approximately 420km north of the capital. Since 2004, the organisation has been running SOS Family Strengthening Programmes in Togo. They generally include educational assistance and community support for families in need, in particular families affected by the HIV/AIDS pandemic. In the year 2005, a third SOS Children's Village went into operation in the northern town of Dapaong, close to the border with Burkina Faso. At this point, SOS Children's Villages is helping children and young people in need by providing day care, medical assistance, vocational training opportunities and education in three different locations. Children whose families cannot take care of them can find a loving home in one of the SOS families. SOS relies on the kindness and generosity of Canadians to be able to provide a home for the most vulnerable children of Togo. Please help us ensure a loving home for every Togolese child. Sponsor a child in Togo now. Your donation will help change an orphaned or abandoned child's life. 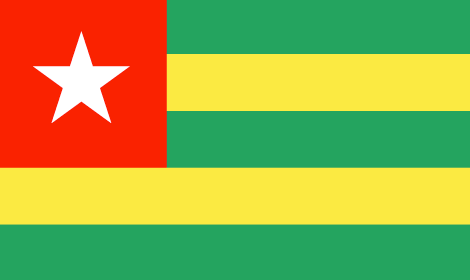 Togo is a country situated on Africa's west coast. The country's economy has been marked by poor economic growth and its dependence on subsistence farming, which still provides work for roughly six in ten Togolese. The country is one of the world's primary cocoa and coffee exporters, generating about 40 per cent of the total export revenues through these commodities. Togo heavily depends on foreign aid. Togo remains one of the poorest nations in the world and development-related challenges are numerous. Wealth is distributed unequally: while the wealthiest twenty per cent dispose of roughly half of Togo's total household income, those who find themselves on the bottom steps of the socioeconomic ladder often struggle to survive. Many years of political isolation have further aggravated the living conditions of the country's population. Today, 32 per cent of Togolese live in poverty. Tens of thousands remain without access to housing, medical infrastructure and education. For a vast proportion of people who live in rural areas, access to potable water remains nothing but wishful thinking. Less than one in five Togolese is able to use improved sanitation facilities, which increases the speed at which dangerous infectious diseases spread. Although considerably higher than in many other African nations, life expectancy is still fairly low at 62 years. The HIV/AIDS epidemic remains one of Togo's most striking public health concerns. 3.2 per cent of the population are HIV-positive. Although access to anti-retroviral therapy has noticeably improved over recent years, much more needs to be done in order to fight the disease. Despite recent efforts to improve literacy, only five in ten Togolese know how to read and write. According to the United Nations, 32 per cent of children aged five to fourteen are engaged in labour activities, a vast part of them in the agricultural sector. Most children from rural areas work on family farms while those who live in the urban centres engage in small-scale trading or domestic service. Children also work in rock quarries where they have to transport heavy stones or extract sand that is used for the production of bricks. The commercial sexual exploitation of minors, in particular young girls, is common in some areas of the country. Togo has traditionally been a country of origin, destination and transit for children who are trafficked for forced labour. Cases where children from Burkina Faso are brought to Togo for work have been reported. Nonetheless, the government of Togo has been cooperating with a number of international NGOs to implement awareness campaigns related to the exploitation of young children. Togo's under-five-mortality rate has fallen noticeably since the early 1990s. In 2009, out of 1,000 live births, 98 babies died during or immediately after birth. 12 per cent of Togo's children suffer from low birth weight and more than one in five under the age of six is underweight. 240,000 children in Togo have lost either one or both their parents. 66,000 of them have been orphaned by AIDS. However, there are thousands more throughout all regions of the country who find themselves at risk of losing parental care due to a harsh socioeconomic environment and HIV/AIDS mortality.